Epiphone worked closely with Robb Flynn of Machine Head to produce a first of its kind guitar, the Epiphone Robb Flynn Love/Death Baritone Flying-V.
Robb Flynn, founder of Machine Head, is a heavy metal guitar virtuoso that knows the role of guitars in heavy metal music. 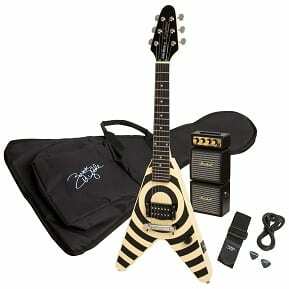 Epiphone is aware of this and together they co-designed the new Epiphone Robb Flynn Love/Death Baritone Flying-V. 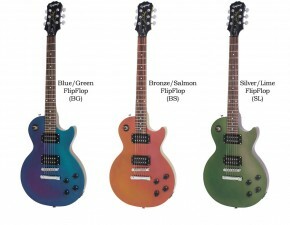 It is a first of its kind guitar for both Epiphone and Gibson. 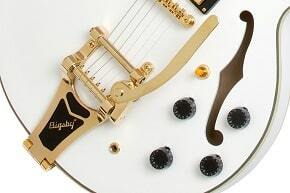 It is unique because of its 27.0″ baritone scale which Robb specifically preferred. This produces the same unique sound that Robb Flynn has introduced to metal and hard rock. Flynn remarked: “The main reason for having the slightly shorter 27.0″ baritone scale is when you tune down to B, it just makes the low definition really tight, especially for palm muting and chunking, it opens up the sound alot”. 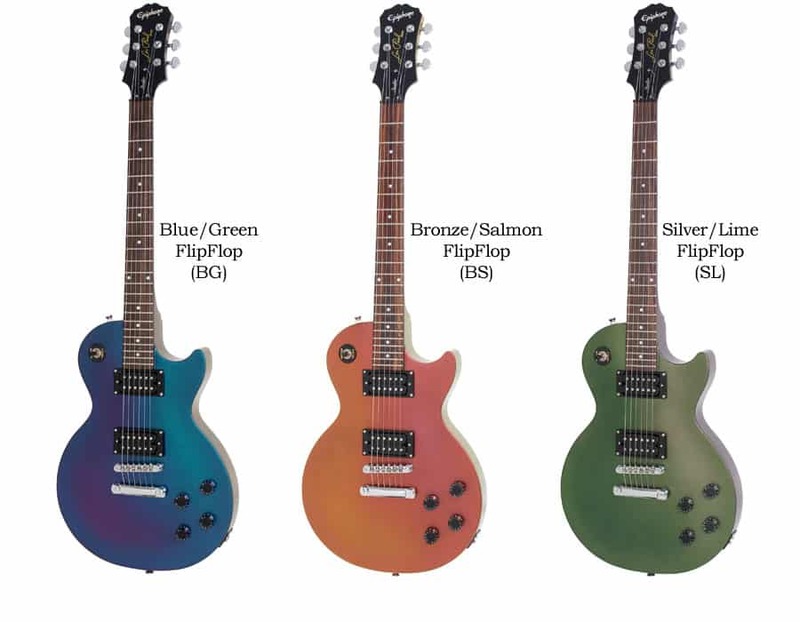 Around the same time that George Beauchamp and the other early electric guitar pioneers were active in southern California, a guitarist and radio personality named Les Paul was in Hollywood working out his own vision of what the electric guitar should be. 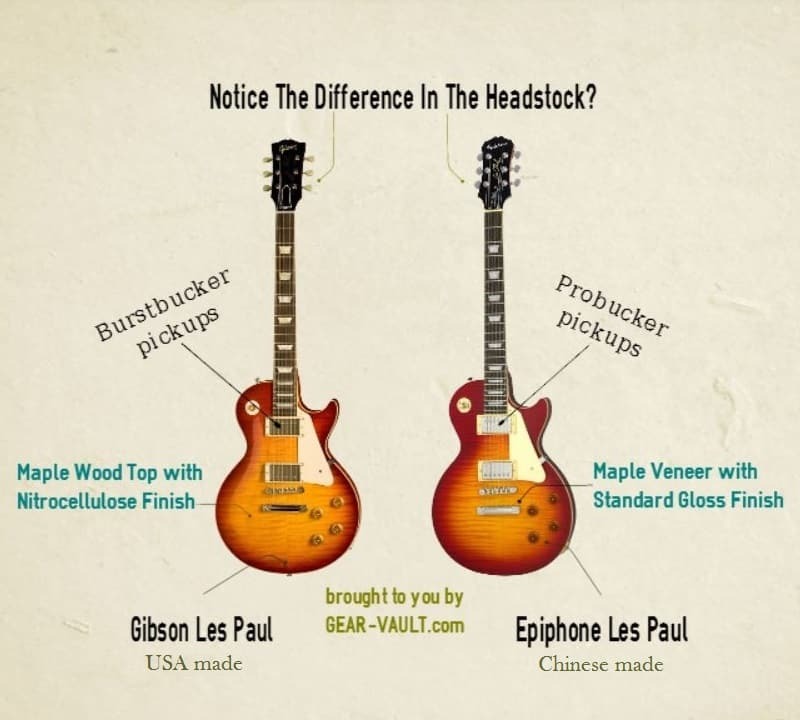 Born Lester Polfus, he became an established guitarist in the Thirties, performing country music under the names Red Hot Red and, later Rhubarb Red, and jazz as Les Paul. In 1939, Paul began to put together what he called “The Log,” a four-by-four length of solid pine to which he attached a Gibson neck, homemade pickups, a crudely fashioned bridge and vibrato tailpiece. 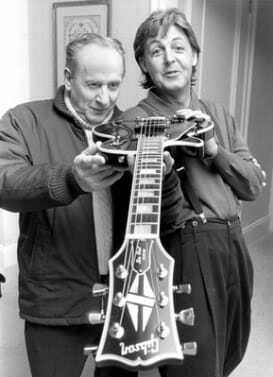 Like many other innovators of the guitar, Paul wanted to eliminate the uneven harmonic response produced by an amplified hollowbody guitar.